​Falmouth Yachtsmen Varsity watched the game slip away early and couldn't recover in a 10-5 loss to Biddeford on Tuesday. Biddeford scored on an error, a single by Evan Paquette, and a single by Curtis Petit in the first inning.Biddeford opened up scoring in the first inning, when an error scored one run for Biddeford. Falmouth Yachtsmen Varsity tallied three runs in the fifth inning. Falmouth Yachtsmen Varsitybatters contributing to the big inning included Garret Aube and Griffin Aube, all sending runners across the plate with RBIs in the inning. Biddeford scored three runs in the seventh inning. Owen Sullivan and Ashton Crowell all drove in runs in the frame.Bruce Springer led the Biddeford to victory on the mound. He surrendered four runs on five hits over six innings, striking out nine. Paquette threw one inning in relief out of the bullpen.Garrett Tracy took the loss for Falmouth Yachtsmen Varsity. He surrendered five runs on seven hits over five innings, striking out five.Falmouth Yachtsmen Varsity tallied seven hits. Aube and Aube all managed multiple hits for Falmouth Yachtsmen Varsity. 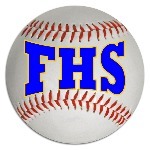 Aube and Aube each managed two hits to lead Falmouth Yachtsmen Varsity. Biddeford collected 12 hits on the day. Carter Edgerton, Paquette, Logan Magnant, and Petit all collected multiple hits for Biddeford.